RAJAR‘s latest findings (the authority which measures listenership) shows that in the UK today, 49.2 million adults listen to their selected radio stations each week. This equates to 90% of the population. More adults are listening to radio than ever before, with listenership up by 900,000 in the last year. On average, a consumer will tune into their respective station for 20.8 hours of live radio per week. What’s more, the development of technology means people are listening on more and more platforms. Overall, the average weekly hours listened to has now tipped over the one billion mark. People will often listen to the radio for up to 7 hours a day, from it waking them in the morning and being on in the car and office, to the drive home and evening broadcasting. With all this in mind, it isn’t hard to see that, as an advertising medium, radio has a lot to offer and is a very powerful and influential platform. Radio advertising can be bought locally, regionally or nationally. It can also be moulded and produced to fit any business’s advertising budget. What’s more, it is much cheaper than TV advertising. Radio advertising can send a much clearer message to a target audience. Here at North West Design Studios, a media agency in Bolton, Greater Manchester, we can advise you on how to get your radio advertising campaign up and running. We can write the script that will ultimately be broadcast and then help you choose the right station for your promotional campaign. A wrong decision at this point could prove to be an extremely expensive mistake. From initial thoughts and ideas, through to completion and broadcast, we can guide you throughout the creative process. All our radio commercials are scripted and produced in-house – and all at an extremely competitive price. 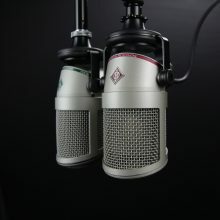 We will also ensure your radio advert is cleared for air by the RACC – commercial radio’s advertising clearance body. Don’t leave anything to chance! Contact North West Design Studios today to discuss your radio advertising needs.